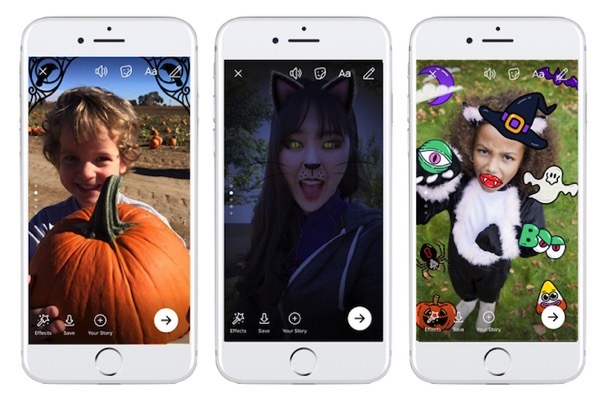 Social networking giant Facebook has today announced dozens of new Halloween-themed experiences for both Facebook and Messenger, including new camera effects and Halloween-themed posts. For instance, if you swipe right into Camera, you will find more than 12 different spooky masks and frames, as well as a handy way to snap a photo of your Halloween look. Facebook is introducing new Halloween effects that can be used in your Live videos. You can either try a scary mask, or tell a story using an effect. For even more fun, you can try Facebook’s interactive new Halloween-themed game located within Camera. The game turns you into a trick-or-treater who jumps their way out of a spooky haunted house by hopping up the walls to escape. Turning your head from side to side changes the direction in which you jump to climb higher and avoid traps. You can share your highest score with a photo and challenge your friends as well. Find Your Disguise in Camera: No need to pick up a last-minute costume when you can try on a number of Halloween masks and frames in the Messenger Camera. The Camera is always one tap or swipe away, whether you’re already in a conversation or you’ve just opened the app. Give Your Friends a Fright on Video Chat: All of the same masks and effects in the camera are also available in Messenger video chat! 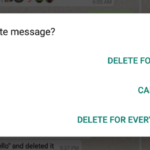 Start or open a one-on-one or group conversation and tap the video icon in the top right corner. Then tap the star to chat with your friends as a green goblin or black cat. Facebook’s Halloween features are now rolling out to users worldwide.